When vacationing in Miami, Florida there are a ton of great options for families. Besides pristine beaches and an array of resort vacation choices – Miami holds a treasure trove of culture and the chance to experience a real melting pot of experiences both distinctly American and uniquely foreign. Miami also holds the opportunities for some great education and good old fashioned family fun. 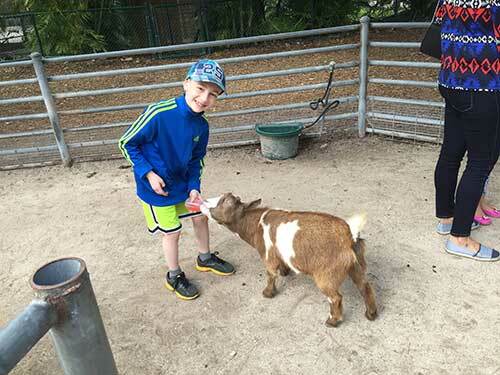 One real family recently combined both of these with a visit to Jungle Island, featuring all the fun and excitement of a safari, right in the heart of the city. Jungle Island has been in existence for 75 years. It began in 1936 as “Parrot Jungle” as a home for exotic birds, allowed to fly free in the original Southern Miami location. With time, the park has evolved into a contemporary wonder of an American theme park, with a veritable jungle built in the middle of the city of Miami. While the park is still home to an amazing array of birds (over 300 exotic specimens) the expansion of the jungle has also led to an expanded collection of some of the world’s most fascinating animals, representing a truly international collection of species. The park contains almost a mile and a half of winding trails (covered to mitigate the heat) that take families through the unique environments as they see such exotic animals as snakes, penguins, baboons, kangaroos, tortoises, and extremely rare twin orangutans. There are regular shows featuring some of the animals, and even an authentic recreation of the clay cliffs of Manú, Peru, complete with indigenous species. A special lemur exhibit is featured in our firsthand encounter. There is simply so much to see and do here, with excitement and educational opportunities to captivate children of all ages. The park is open from 10 AM – 5PM, 365 days a year. More details will follow below, but nothing speaks to the park better than the experiences of a real family. The type of vacation we typically choose is luxury. For our activities, we like luxury and often stay at the finest hotels, but we are also adventurous and love off the beaten path types of experiences and always seek them out. We aren’t bothered by very “local” experiences anywhere and think these are very important to our vacation. We love adventure. We also like a mixture of regular, touristic and organized places. We enjoy hiking and outdoorsy activities. We enjoy museums, markets and other activities geared towards children. We like to maximize each day by seeing as much as possible. As experienced cruisers, our families has taken about 7 cruises in as many years, with several different companies. Our children at the time of this trip: 6 children – Boy age 16, Girl age 16, Girl age 16, Girl age 12, Boy age 8 and Girl age 4. Our kids absolutely loved this place. They were really impressed by the number of animals and things to do here. As an adult who was here as a child myself, back when it was parrot bay, I can speak to just how far they have come and how impressive the expanded jungle is. This park is very professional and very well executed. The staff were really good. They were friendly and knowledgeable and really helped create an atmosphere that was both fun and educational. The exhibits were very well done, and varied enough that we didn’t feel like we had “seen it all” after the first few minutes. We also enjoyed the shows they put on, as a great way to learn more about the animals and really see them front and center. 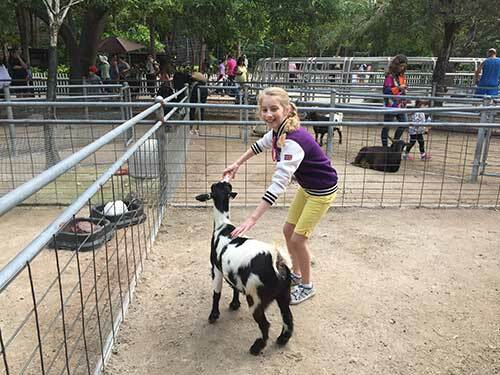 The petting zoo was great as well, and really added an element of fun for the kids. The younger ones especially really enjoyed getting close to the animals, and it made for some great pictures as well! This is a great family activity that everyone will get something out of, but the children especially walked away feeling like they had a great time. 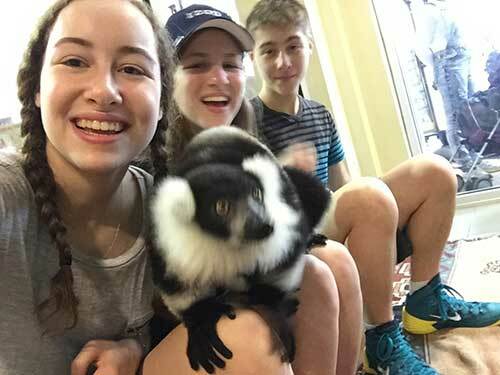 We paid extra for the lemur exhibit – and we are glad we did. This was a real highlight for the kids. These gentle animals are magnificent up close, and we really enjoyed the opportunity to interact with them. This part of the park in particular is something we will remember for a long time, and would highly recommend to other families who make their way to Jungle Island. They can be reached by phone at (305) 400-7000, or fax at Fax: (305) 400-7291. You can also Contact Them through their website. Once again, the park is open daily from 10 AM – 5 PM, 365 days a year. They may close or alter their hours in extreme weather, and alternately, they sometimes extend these hours for special shows and events – see their calendar for what’s coming up. They also run a camp and host sleepover nights if you are in the Miami area, or who are there for an extended period. See their online park map for a better picture of the facilities, as well as their regular exhibits and shows. Day passes cost $34.95 for Adults, $26.95 for children. You can save $2 by booking in advance, which you can do online. 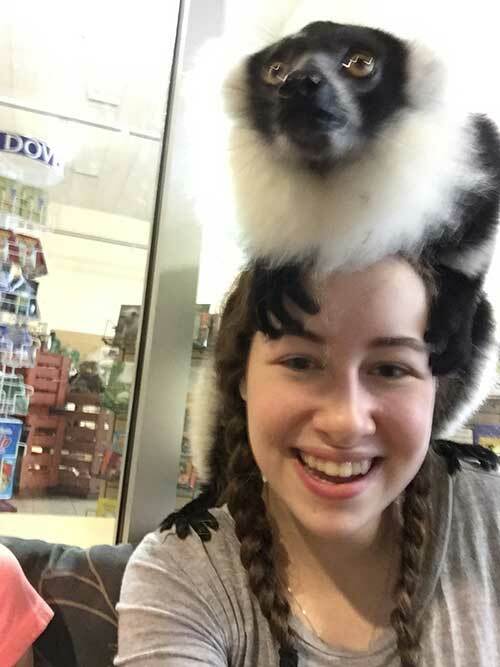 There is an additional charge for the lemur exhibit (reservations are recommended as there is limited availability), as well as the petting zoo. You can also opt for a value pass that includes access to all of these. The park also offers group discounts, and active military personnel, veterans, law enforcement and firefighters (with proper ID) receive free general park admission. Immediate family members get a 15% discount. Please Note: All prices are per person, may exclude tax and other fees and are approximate as of the date of this publication in February 2015. In all instances Children Must have a paid adult companion. Interested in Experiencing Jungle Island for Yourself? Check out their Website for more information! Read more about this particular family’s Caribbean Cruise Adventure, starting with their experience on the Norwegian Epic.